Chief Strategy Officer, Duarte, Inc.
Patti Sanchez is a communicator with over 25 years of experience leading transformative marketing initiatives for brands and causes, and co-author of the award-winning book, Illuminate: Ignite Change Through Speeches, Stories, Ceremonies, and Symbols. As the Chief Strategy Officer for Duarte, Inc., Patti leads an expert team of writers and consultants who help clients create compelling presentations that change beliefs and behavior. Applying insights from her study of psychology and persuasion, Patti helps leaders understand the inner workings of the human mind and heart and then use that knowledge to craft engaging narratives that cut through the clutter and resonate on a deep level. She has presented hundreds of workshops on communication to marketing and sales leaders around the country and her professional work has been honored by IABC, BMA, and Vital Speeches of the Day. 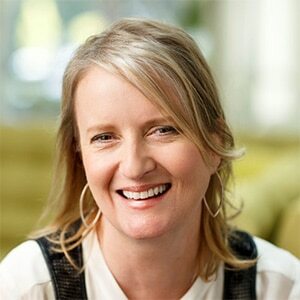 Patti holds a Bachelor of Arts Degree in Public Relations from San Jose State University with a minor in Psychology.